Funding for cops and robbers-style FPS ends abruptly. Kickstarter-backed game projects have become a common trend in game development, but sadly such projects don't always have happy endings. Case in point, Elastic Games, the team behind the ambitious first person shooter Police Warfare announced back in February, has mysteriously cancelled its Kickstarter campaign with almost no explanation. 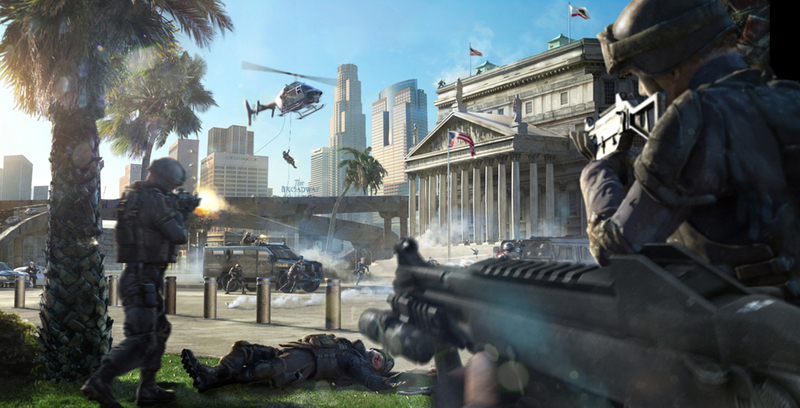 Police Warfare pitched the concept of a multiplayer shooter where players arm up as either a member of the Los Angeles SWAT team or one of their heavily armed criminal counterparts, engaged in fast-paced firefights during bank heists and the like. Elastic Games itself is composed of industry vets behind well-known titles like Killzone 2 and Grand Theft Auto IV, giving Police Warfare some serious credentials behind its creation. Other than a short note thanking fans for the response to the game and promising more details in the future, no other information has been provided regarding the decision to close down Police Warfare. At the time of cancellation, Elastic Games had raised $25,025 of its $325,000 goal, with 784 people having donated to the game. However, in previous interview with Eurogamer, lead designer James Wearing stated that the project did have "additional financing besides the Kickstarter," so all hope may not be lost for those eager to recreate their favorite scenes from Heat or Inside Man.